New York : Samuel Gabriel Sons & Company, 1933. 26 pages : illustration ; jigsaw puzzle. 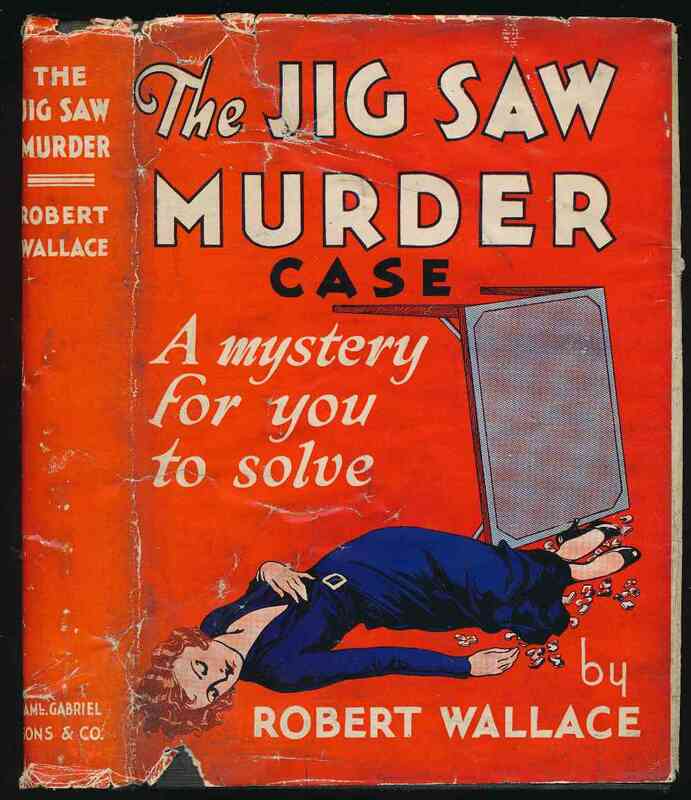 A young woman's body is found sprawled over an almost completed jigsaw puzzle. G+ in tatty unclipped DW with wear and tear, chipping to front and rear panels and spine, and grubby rear panel. Spine ends bumped, and marks and toning to front endpapers. 32 pieces missing from jigsaw. To order books please use the form at the right and we will advise you of availability and the total cost, including postage and packing. Alternatively click here to email us using your default email client, quoting the reference number(s) of the book(s) in which you have an interest. By filling in this form you are consenting to the storage of your details. Any personal data collected will be held in accordance with our privacy statement. VG: Clearly second-hand but with no major imperfections. G: Complete, but with clear signs of wear and use. Reading or reference copies are sometimes offered, particularly of scarcer items. These will have major faults but will contain the entire text. VG: Complete but with small imperfctions (e.g. small tears or creases). +: Not quite the grade above, but close! I try to grade the books as fairly as possible, but one person's small tear is another's gaping chasm. I may simply have missed something. So, if you are dissatisfied with the description of any item, please contact me in the first instance (info@baskervillebooks.co.uk) and we'll sort something out. All dustwrappers are supplied in a removable protective cover. And if it doesn't say it is a First Edition, it isn't.